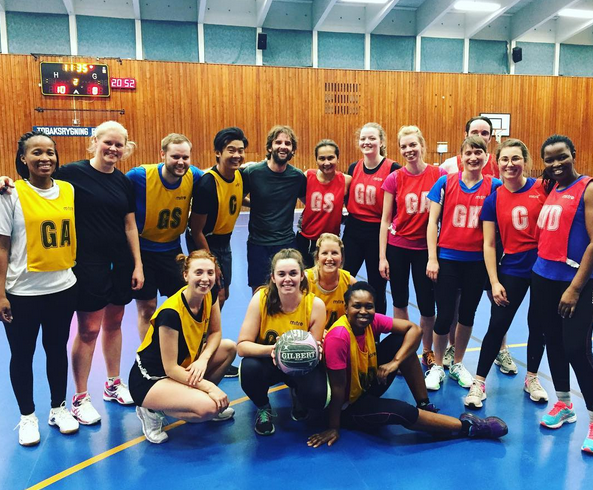 Since late 2008, Copenhagen Netball Club has provided a forum for socialising, fun and fitness for Danes and expats from around the world. Our activities extend beyond the regular Wednesday night competition to international tournaments and social nights out in Copenhagen. Aside from social activities, we’re also affiliated with the International Netball Federation and the Europe netball region. In the absence of a national netball body in Denmark, Copenhagen Netball Club is charged with the responsibility of growing and developing netball in Denmark. Netball is one of the most popular team sports in Australia and New Zealand. It’s played by men and women in more than 70 countries around the world. Netball shares some of the same elements as basketball and handball. It requires speed and agility, and teamwork and strategy, but body contact is limited. Each team has seven players on the court, and all are involved in the game. A weekly game of netball is a great way to socialise and make new friends. To learn more, watch the intosport video on Youtube. See also our explanations of the rules in English or in Danish. Or come along on a Wednesday night and see for yourself.